August 14th. Show at 10pm. FREE admission. Dinner and show. Must be 18+ to attend. About Rachel Feinstein: The daughter of a civil rights lawyer and a blues musician, Feinstein has a keen eye for the absurd and unjust. Her hilarious, character-driven style was developed as a kid by opening for her father’s blues band and doing impressions of various loud and jarring relatives. A favorite amongst fans is “Ice Cold Rhoda, World's Oldest Hater" – a bit where she takes on the character of her grandmother and reviews hip-hop, based on a Star of David rating system. Feinstein has made thousands laugh during her numerous appearances, including NBC’s hit competition show "Last Comic Standing,” “Russell Simmon's Presents,” “Live at the El Ray,” TBS's “Just For Laughs” series and “Comics Unleashed.” Fans will recognize her voice from various characters on Adult Swim's "Venture Brothers," the animated Comedy Central web series, "Samurai Love God" and Spike TV’s web series "Battle Pope." She has also appeared on VH1’s, "Jewtastic" and CNN’s "Not Just Another Cable News Show." 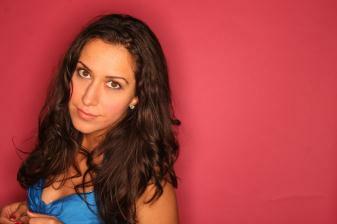 Additionally, she has her own half-hour special, “Comedy Central Presents Rachel Feinstein. Tour Dates at Seminole Hard Rock: August 10-12th. FREE for guests. Time: 1PM – 7PM. Hard Rock has chosen the top 40 most iconic pieces of music memorabilia, including clothes and instruments, from its collection. Features memorabilia from the world’s greatest rock legends and icons to take guests through some of the most memorable years in rock history. Honoring the lives and legends of rock’s greatest, like Jimi Hendrix, Michael Jackson, Elvis Presley and John Lennon, as well as today’s hottest artists, including Justin Bieber, Snoop Dogg and Katy Perry. August 18th at the Lobby Bar. Bring your Hard Rock calendar or buy one in the Gift Shop from 6pm - 8pm on August 18th and get it signed by Miss August and September Hard Rock Calendar girls. Win $1,000 cash hourly or a Dodge Durango. Drawings every hour from 1PM –9PM every Tuesday in August for $1,000 cash. Grand prize drawing for a Dodge Durango at 9:30pm. Players earn entries from July 27th – August 30th. Entries are earned on a promotional basis and there is no limit to the number of entries a participant can earn. You must be a Seminole Player’s Club cardholder in order to participate in this promotion. Player’s Club cards are free to all visitors 21 and older. Winner must be present to win. Win cash prizes ranging from $100 - $5,000. Drawings between 10AM – 4PM every Wednesday in August. Earn entries from July 28th to August 31st. You must be a Seminole Player’s Club cardholder in order to participate in this promotion. Player’s Club cards are free to all visitors 21 and older. Giveaway ends 08/26/11 at 9pm EST. Giveaway is for US residents only. No P.O. Boxes. Winner will be chosen randomly. Winner will be contacted via e-mail and then will have 48 hours to respond before a new winner will be chosen. Disclaimer: I did note receive anything in exchange for this post. This is for my readers. I was not compensated in any other way. The thoughts here are my own honest opinions. The 40th Anniversary Memorabilia Tour would be fun to attend.